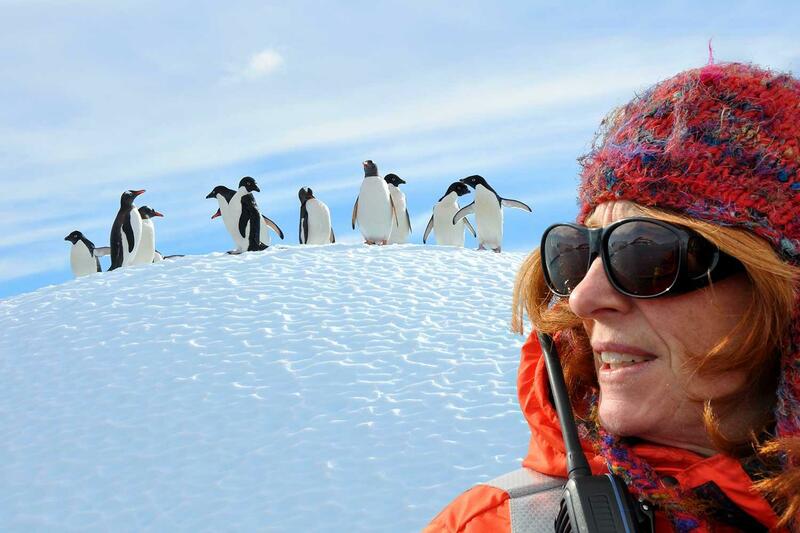 The classic, complete Antarctic experience! 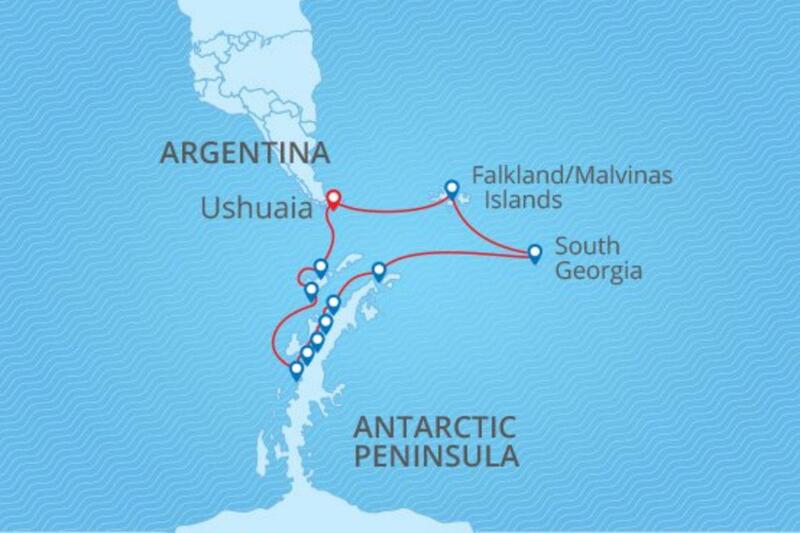 This voyage features the clean unspoiled scenery, wildlife, and rich history of the Antarctic Peninsula, as well as the crown jewels of the Southern Ocean: South Georgia and the Falkland Islands. Day 1: Ushuaia Enjoy the Argentinean leather markets and succulent lamb dishes that make Patagonia famous as you explore the southernmost town in the world. Highlights of Ushuaia include an award-winning museum and trips to nearby Tierra del Fuego National Park and its popular “Train at the End of the World”. Day 2: Embarkation Arriving at the ship in the afternoon, you will be greeted by our Expedition Team and ship's officers at a safety and orientation briefing followed by the Captain's welcome dinner. After dinner, relax and take in the mountainous scenery on our early evening sail down the Beagle Channel past Magellanic Penguin, Rock Cormorant, and Sea Lion colonies. Days 3-4: At Sea At sea, in the westerlies the ship is followed by several species of albatrosses, storm petrels, shearwaters and diving petrels. We can observe them from the bridge or decks. 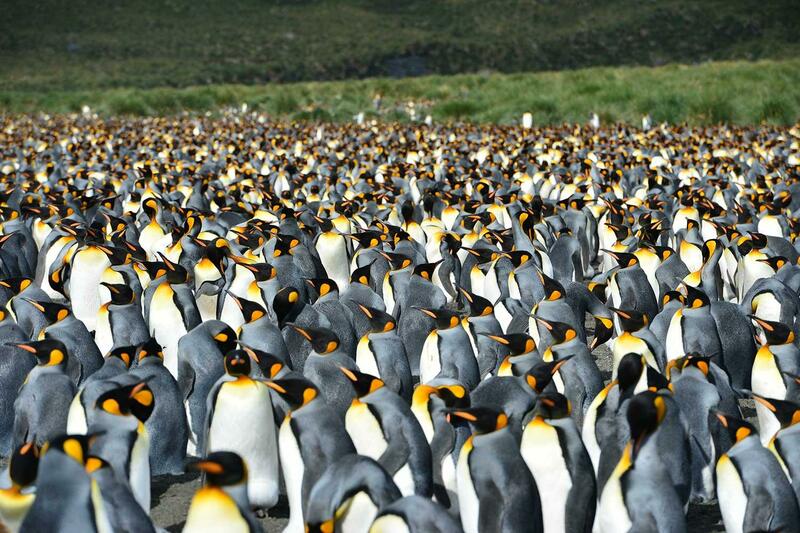 Days 5-6: Falkland Islands We plan to visit both West and East Falklands. 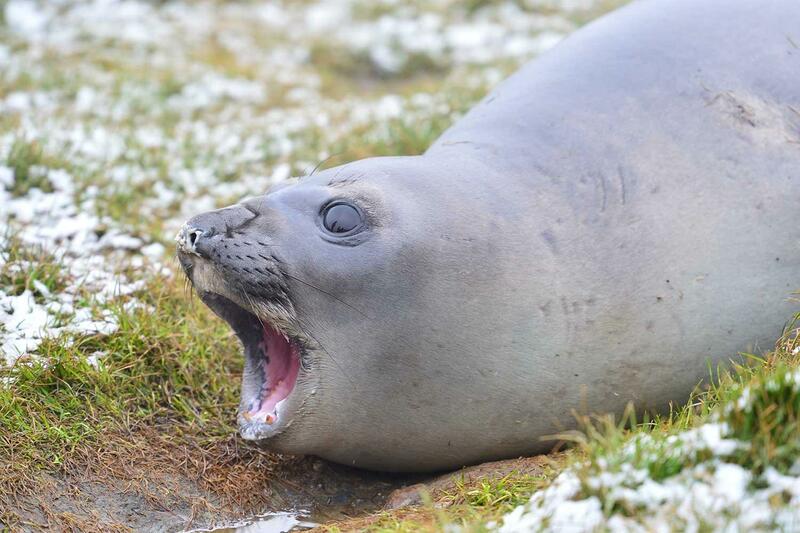 It is possible to experience the wildlife of the East Falklands from Stanley including sea lions and Peale’s and Commerson’s dolphins in the harbor or bird life in nearby Gypsy Cove. 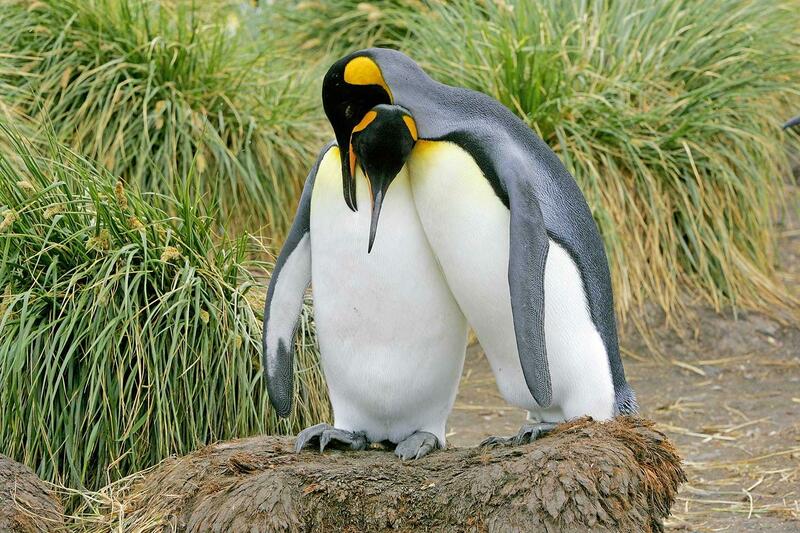 In the western part we want to see magellanic and gentoo penguins, as well as encounter with water fowl and night herons. In addition, on Saunders we will be able to observe rockhopper, macaroni and king penguins, black-browed albatrosses and king cormorants. Days 7-8: At Sea At sea, on our way to South Georgia we will cross the Antarctic Convergence. Entering Antarctic waters, the temperature will drop as much as 10°C within only a few hours. Near the Convergence we will see a multitude of southern seabirds near the ship; several species of albatrosses, shearwaters, petrels, prions and skuas. Days 9-12: South Georgia Magnificent mountain scenery, glaciers galore, a rugged coastline punctuated with icebergs, a rich historical tapestry, and an astounding array of wildlife are all available to us as we travel down South Georgia’s leeward coast. 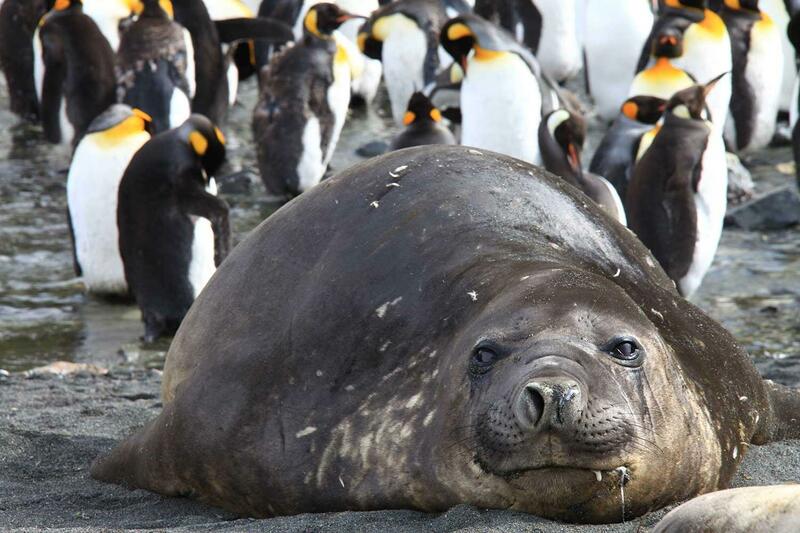 In South Georgia we shall visit the bay of Elsehul, with its active fur seal breeding beach, and then take course to Right Whale Bay, Salisbury Plain, Gold Harbour and Cooper Bay to give us a good opportunity to see a wide spectrum of landscapes and wildlife, like the introduced elephant seals, king and macaroni penguins. At Fortuna Bay we might try to follow in the footsteps of the great British Explorer Ernest Shackleton and hike over to Stomness Bay. Days 13-14: Scotia Sea Heading farther south trough Scotia Sea we watch as the icebergs become more and more plentiful. Our ship is again followed by a multitude of seabirds. 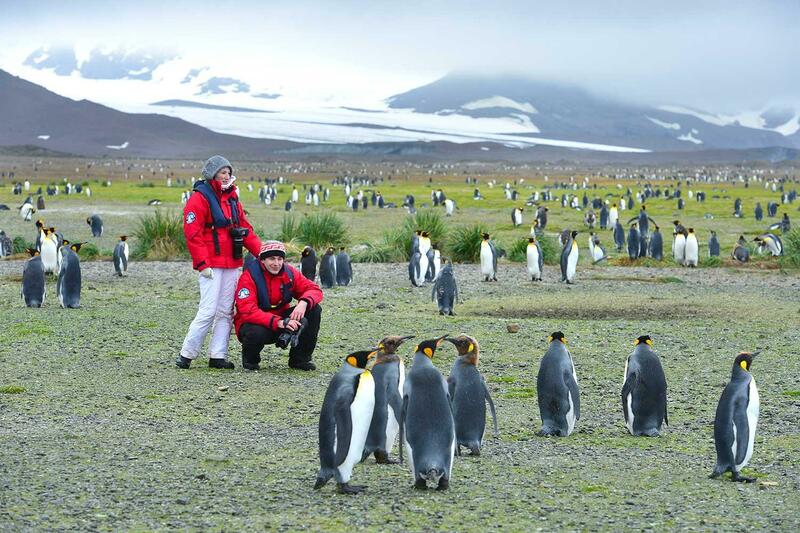 Days 15-18: Antarctica and South Shetlands Our Expedition Leader and Captain create a flexible itinerary based on weather, ice, and opportunity. 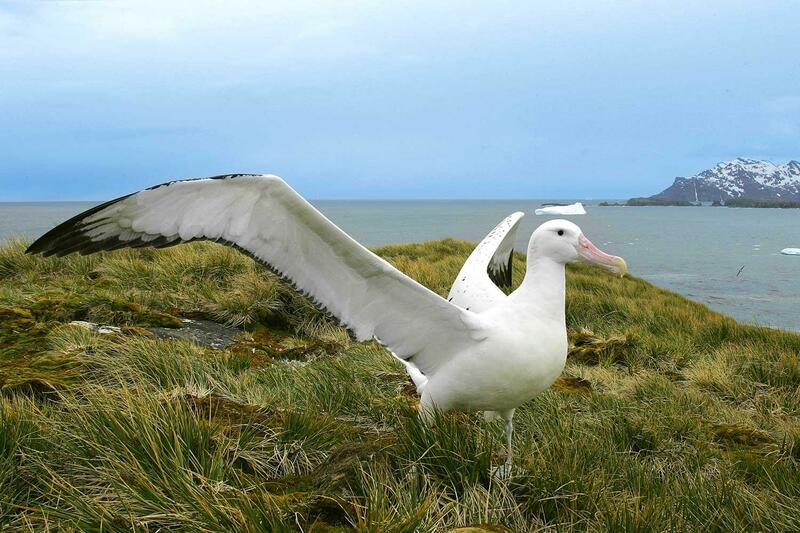 The course will stress the most scenic bays and channels of the Peninsula with stops at penguin rookeries, seal wallows, bird colonies and whale feeding areas as well as historic and scientific sites. 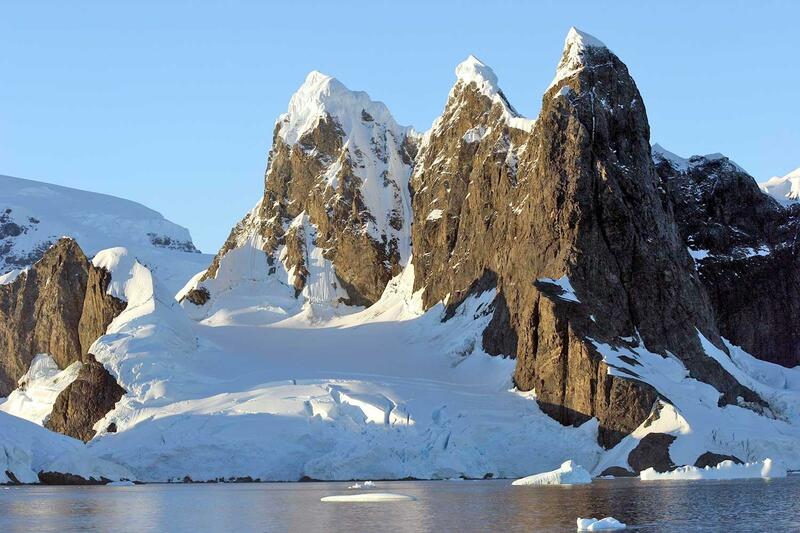 The trip may also include the Gerlache Strait area including Neko Harbor, Paradise Harbor, Wilhelmina Bay, and Neumayer Channel. Depending on ice, we may also be able to visit the beautiful Antarctic Sound including Brown Bluff, Hope Bay, and Paulet Island. Active scientific bases such as Poland’s Arctowksi or Ukraine’s Vernadskiy and historic bases such as U.K.’s Port Lockroy or Wordie House may also be visited. 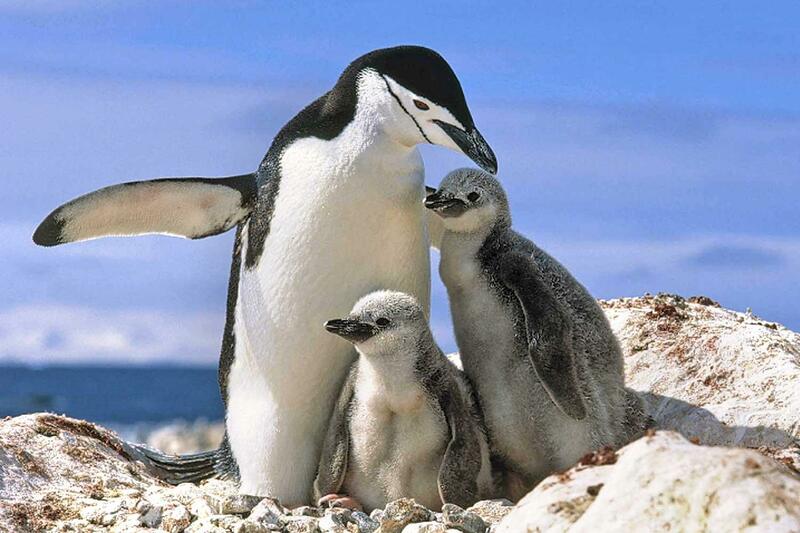 Adelie, chinstrap and gentoo penguins abound, and weddell, crabeater, elephant seals and the predatory leopard seal are often found. Minke and humpback whales are frequent visitors and orca sightings are also common. Days 19-20: Drake Passage On our way north we are again followed by a great selection of seabirds while crossing the Drake Passage. Day 21: Ushuaia disembarkation Morning disembarkation lets you catch a flight to Buenos Aires or stay in Ushuaia for more sights and adventure. Note: The captain and expedition team will do everything possible to complete the voyage as outlined in the voyage itinerary. However itineraries in polar regions are heavily dependent on weather and ice conditions. Occasionally conditions and or safety concerns require Itinerary changes. The Captain and expedition team will accordingly make every effort to find the best alternative to the original itinerary while keeping passengers informed and updated. Deposits - Reservations require a deposit of $1500 per person at the time you receive a booking confirmation from Expeditions Online. A payment link will be sent to you and this may be paid by major credit card. Bookings within 120 days of departure require full payment. Final Payments - Balances are due 90 days prior to departure. Final payment can be made by calling us (final payment cannot be made online) and may be paid by major credit card, bank transfer or check. Cancellations - All requests for cancellation must be received in writing to Expeditions Online. Cancellations received 90 days or more prior to departure, are refunded less a fee of $750 per person. If cancellation occurs less than 90 days prior to departure, all payments are forfeited. If full payment has not yet been received, the full penalty will still apply and any unpaid balance is due immediately. We strongly recommend that you obtain adequate trip cancellation insurance. Booking Terms - Please read carefully the General Booking Conditions for Expeditions Online. This voyage is operated by Poseidon Expeditions and you additionally travel under their terms and conditions as the operator as well as of the Shipping Company/transport carrier. Details will be forwarded to you at the time of booking.